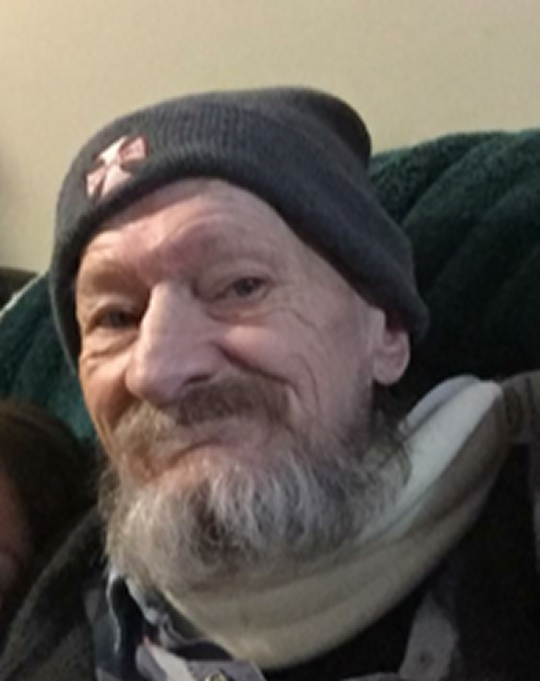 James Steven Rowland, age 63, of Rockholds, Kentucky passed from this life on Tuesday, January 2, 2018 at his residence after an extended illness. He was born on September 7, 1954 in Dayton, Ohio, son of the late Ossie Rowland and Anna Marie Forsyhthe Rowland. James was of the Pentecostal Faith and a member of the Crestview Holy Pentecostal Church in Berea, Kentucky. He enjoyed playing the guitar, spending time with his family and friends especially the children. James was a loving and kind man, and was one to always have the last word. Perhaps his greatest joy was his peppermints and chocolate milkshakes. He will be sadly missed by those who knew and loved him. Besides his parents, he is preceded in death by a sister; Mary Begley and Brothers; John Rowland and Joseph Rowland. He is survived by his special cousins and caregivers; Kimberly Croucher and her boyfriend; Wade Miller of Rockholds, Kentucky. Other cousins; Christina Alexander, Andrew Plowman, Melissa Plowman and Michelle McHone of Berea, Kentucky, Aunt; Betty Forsythe Robinson of Indiana, an uncle; Gene Forsythe of Berea and a “like a grandchild”, whom he loved dearly; Izaya Miller along with other relatives including Scott, Daryl, and Donna Forsythe, Sarah Lowery, Jared, Racheal, Johanna, and Miranda McHone well as a host of other relatives and friends. Southern Oaks Funeral Home is entrusted with the final arrangements for Mr. James Steven Rowland.